A-Z Side Tabs - Sets Discounts Apply ! 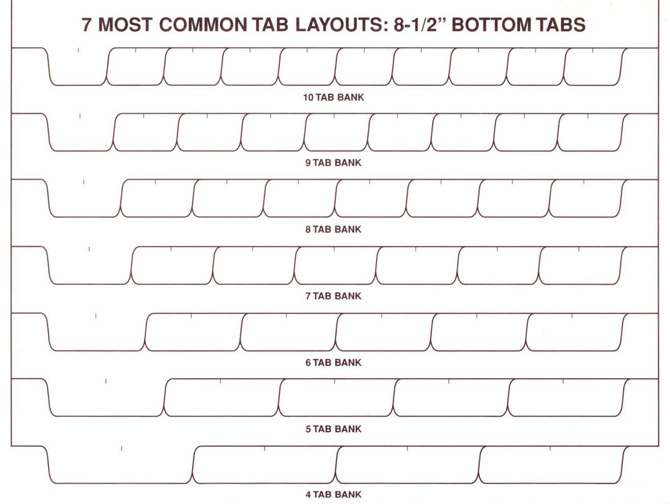 A-Z, AA-ZZ, AAA-ZZZ Tabs are white side tabs that have letters in a sequence of 26 tabs. These tabs have the same letter on both sides of tab. Each group of 26 letters is considered a set. These tabs are available only in white. This item comes stock with no holes punched. Holes can be punched upon request. 1-49 sets: $4.12 ea. 50-99 sets: $3.88 ea. 100+ sets: $3.71 ea.